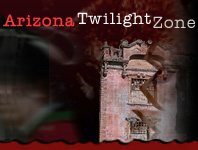 Arizona's Spook Walks/Haunted Trails come if all forms. From the haunted cornfield, old cemetery to the dark fields of the unknown, you can expect a thrilling adventure. Get a spark of adrenaline with all the terror that comes along with these attractions this Halloween season! You may very well enter pumped and energized, but don't be surprised if you finding your way out of breath and crawling your way out from all the scare.